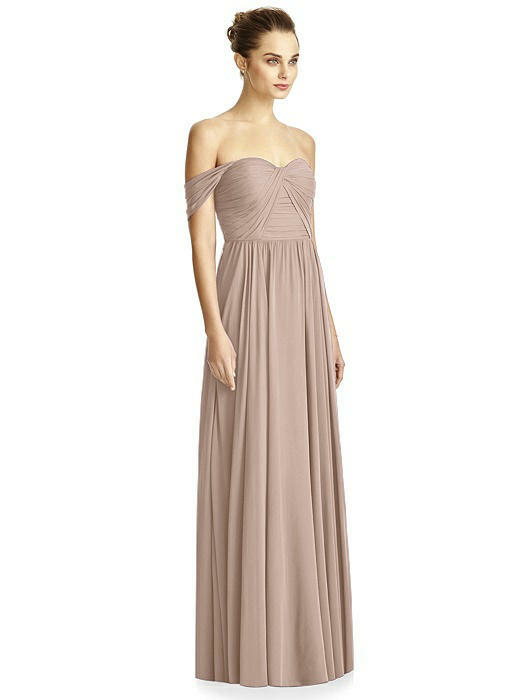 Timeless and ethereal, the romantically inspired full-length lux chiffon bridesmaid dress beguiles charmingly with versatile straps. A softly rouched and draped bodice draws attention to the delicate sweetheart neckline and the softly gathered skirt. 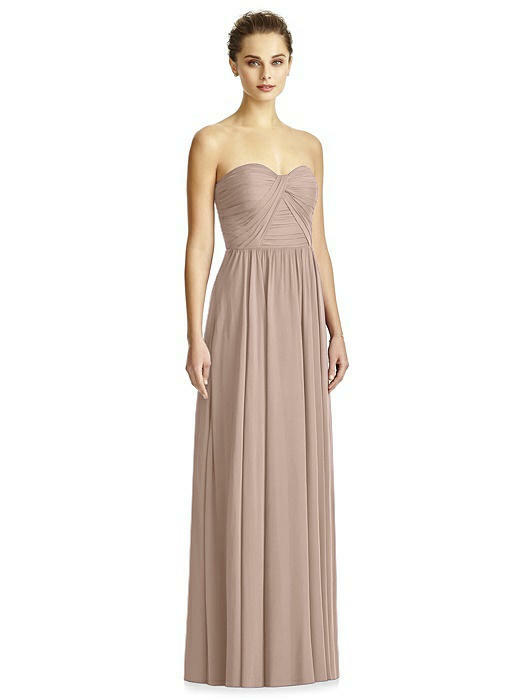 Fit Tip: The natural waist and bust measurement take priority for style JY521. If you are over by an inch or two on the hip, you should have enough room to release the side seams/alter the skirt to allow for that variance. If you would like help choosing your size, please contact a Dessy stylist.